This easy to understand color map for the greater Seattle area shows the health of the local Real Estate Market at a glance. I update this monthly. It’s based on current inventory vs. absorption rates in each micro-market. The color ORANGE=Real Estate market favors the seller. GREEN=Market is a balanced market. BLUE= Market favoring home buyers. 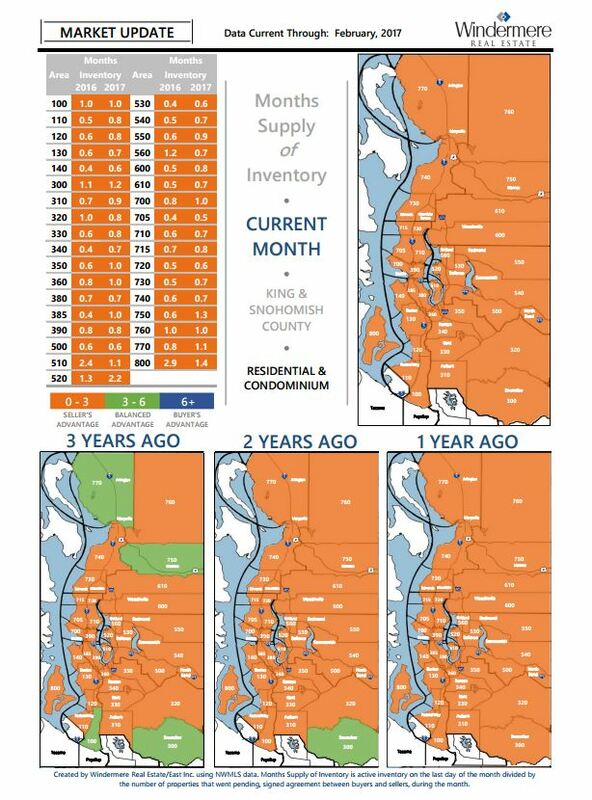 In a constantly changing Real estate market I think it’s important to show the current month compared to the same time one year ago. Please feel free to contact me with questions or comments.